How long has saigonchildren been working in Vietnam? We were registered as a charity in the UK in 1992 and have been working in Vietnam ever since then. We received our full Vietnamese licence in 1996 and our US affiliate received 501 (c) (3) status in 1999.
saigonchildren helps educate children living in poverty, those who struggle with a disability or who are otherwise vulnerable. We build schools, provide scholarships and vocational training to enable the children who struggle the most to gain a basic education and equip themselves with the skills necessary to work their way out of poverty. 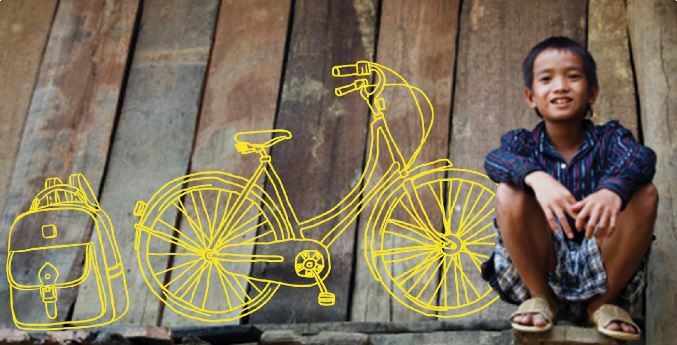 How does saigonchildren choose the children for its programmes? This is done carefully and objectively to ensure that we help those most genuinely in need. We visit children at home to assess the poverty and circumstances of their family. We tend to choose younger children as the poorest tend to drop out of school early in order to work. Many of the children we help are blind, deaf, disabled or missing one or both parents or from minority ethnic groups such as the Khmer. 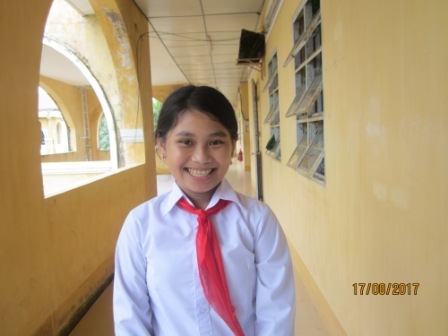 We find that we do not currently need to positively discriminate in favour of girls as there is, unlike many other countries, very little discrimination like this in Vietnam. We can confidently reply yes, they do. We monitor our work closely to ensure that we achieve our targets and evaluate projects at regular intervals. We have seen our children pass exams and have their work exhibited. We have watched as they grow in confidence and knowledge better able to face the challenges of the world and fend for themselves. Each year we see older students start work in hotels, shops and offices in Ho Chi Minh City for on-the-job training. Some of the children now even qualify for a place at University – so we are sure something is working! How many people work for saigonchildren? Altogether around 31 people work full-time for saigonchildren. Some are responsible for individual programmes, some are teachers. All are dedicated and committed people. We also rely on a great group of volunteers around the world who help to do many things for us – from helping to spread the word and fundraising to supporting our English tuition. Please see the volunteering section of this site for more information. Can I visit the Charity? We are happy to help where we can with this but are too small to be able to respond to all requests. If you have a particular reason for wanting to visit a project please let us know and we’ll see what we can do. Why do some of the poorest children drop out of school early? There are two reasons. The first is that the cost of school can be high in relation to the poorest families’ income. Costs consist of school fees (although often modest in rural areas), contributions to school maintenance funds, insurance, books, pens, uniforms and travel expenses. Many of these costs have to be paid in advance, at the start of the school year in September and finding a lump sum like this is often impossible. Additionally, as children advance up through school the costs increase. The second reason is that families need their children to contribute to the family somehow even though they only generate tiny earnings by gathering snails, catching fish, tending the buffalo, weeding the rice or babysitting. Engaged in a hard manual working life, these children soon forget what they have learnt in school and many become illiterate like their parents. How do we choose the children? The family’s financial situation (average income is classified as poor or near-poor based on the national poverty line, expenses/debts, possession of assets). The family’s ability to earn, including if any family members have no or limited ability to work due to illness or disabilities. The family’s circumstances, including whether one or both parents have left, passed away or are working far from the child. Our scholarship packages differ depending on the level of the student – university students receive assistance to pay tuition fees, whereas school students generally receive school supplies (textbooks, and notebooks), school uniform fee and 10 kg of rice per month during the school year. These packages may be tailored to the needs of individual students, for example, by providing funding for school fees instead of rice. For children who are supported with funding, the funding will be transferred directly to their schools to pay for all the school fees, we don’t give cash to the children. How do we monitor the sponsored children? We apply a holistic approach to support children and young people to stay in education through a system called Community-based Child Development Support Network. This network supports teachers, community leaders to work together at the local level to assess the needs of each individual child and monitor the progress of the students as well as give them relevant support to overcome barriers to their education. This support may range from encouragement and advice, to funding for health care, bicycles or glasses where this is needed. We play an active role in monitoring the operation of this system as well as regularly visiting the children at their homes to ascertain their progress. At the end of school year in May we collect the children’s school reports. Although scholastic ability is not a criterion for choosing, we do encourage and expect the children to make steady school progress year after year and show signs of making an effort. This question scores a loud and emphatic YES! Not only does it work it works very well indeed. The effectiveness of our programme is revealed by the very small drop-out rate of children in our programme. Success is revealed by the increasing numbers who go on to finish their last grade at school and we even have a growing number who qualify to go on to college or university. Moreover, most of the children and their families, who are supported through our Child Development Programme, reply that the support are very helpful and practical to motivate the children to continue their studying.